Charlie: We have cafe con leche two to four times a day, every time we stop. Partly it provides access to the bathroom and a nice rest and we like it. Cappuccino is one third each of espresso, milk and foam. Cafe con leche replaces the foam with milk, like the cafe auto lait in France. We like it just as well. 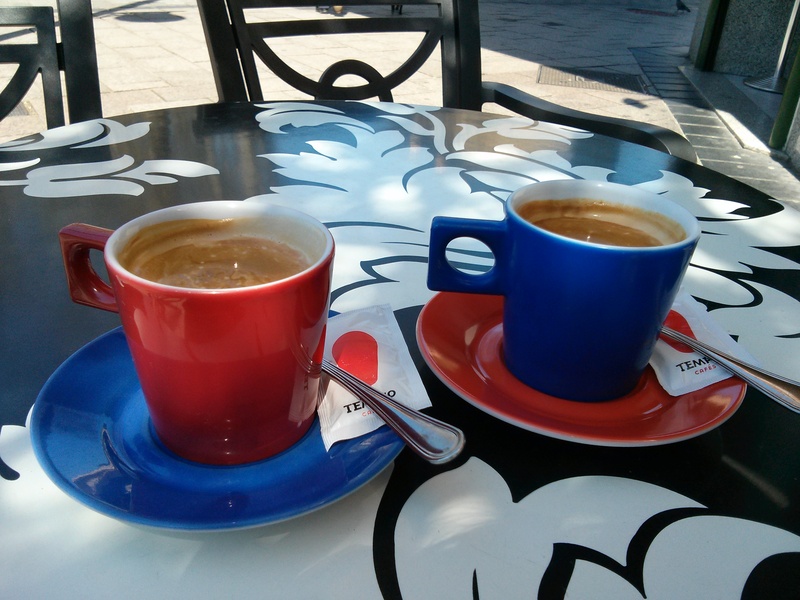 The coffee in Spain is different from the coffee in Italy and we like them both about equally. We have had a couple of cafes that were not so good but generally the are good to excellent. It adds up. A cafe is usually €1.20. Four to eight a day adds up to about $10 a day or $500 for our 50 day trip. But it is totally worth it, love our cafe breaks. In Castille & Leon they started asking if we wanted a large or small cafe.